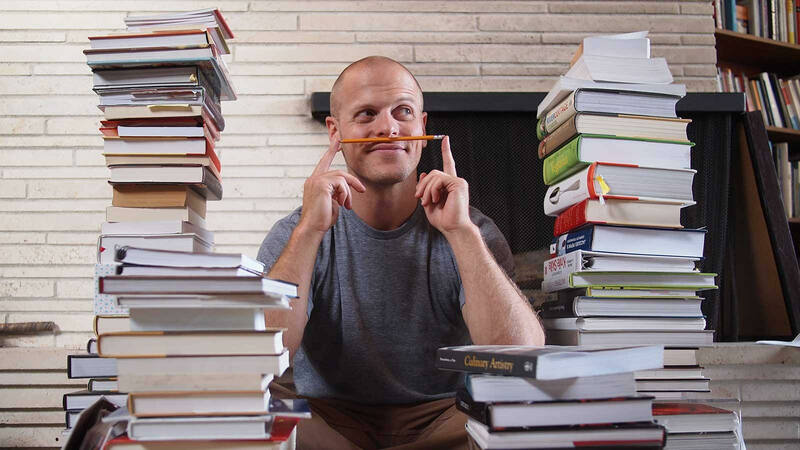 Who doesn’t know Tim Ferriss? Maybe you do, maybe you don’t. You may be a true fan of him. Maybe you’ve just heard of him. Or maybe you’ve never heard this name before. In any case, here’s a quick introduction to get started. Tim Ferriss is the host of his famous podcast — The Tim Ferriss Show where he interviews successful people from different fields. He asks them great questions and breaks down their success into bite size chunks which we can take away into our lives. He is also the author of the books — 4-hour Workweek, 4-hour Chef, 4-hour Body, Tools of Titans and Tribe of Mentors. 4-hour Workweekis about lifestyle design and location independence. 4-hour Chefis about learning smarter, and 4-hour Bodyis about hacking the body. Tools of Titansand Tribe of Mentorshave a different theme. They are about getting advice, tips, tools, tactics, routine or inspiration from successful people in different fields. Tim Ferriss is a self-proclaimed “human guinea pig” which means he believes in self-experimentation to test out assumptions and find out what most people could never imagine. He has inspired millions of people to pursue their dreams and become lifelong learners. He continues to grow as he teaches us to be healthy, wealthy and wise. His mission is to create an army of thinkers who can become better than him. If the student becomes better than the master, the master becomes successful. “Hard choices, easy life. Easy choices, hard life.” — Jerzy Gregorek. The quality of your life is determined by the quality of the questions you ask. What if making hard choices were easy? That’s a type of question he would ask himself. Hard choices are not hard by nature. They look hard for us because of fear, uncertainty, doubt or lack of clarity. The antidote is a simple exercise which he refers to as “Fear-setting”. In the exercise, he asks us to take a sheet of paper and make three columns titled “Define”, “Prevent” and “Repair”. In the first column, you list out every fear you have that stops you from living the life you want. In the next column, write everything you can do to prevent the situation from happening. In the last column, write everything you can do to mitigate the damage if the worst-case scenario came true. On the next page, switch sides and write everything good that can come out from taking the risk. The last step is the most important step of the exercise. On the third page, determine the cost of inaction. How would your life look like in the next months or years if you didn’t take the action? Consider every aspect such as emotional, physical and financial when you think about the cost of inaction. The purpose of the exercise is to take a microscopic view of the situation. Most people don’t make the hard choices because they are paralyzed by fear. When we define fear and capture it on a piece of paper, it doesn’t look that intimidating anymore. Many times, the positives outweigh the negatives. Courage comes from clarity. The exercise helps us to switch from thefear mindset to the possibility mindset. What if I go broke? What if I miss the opportunity? What if I lose my girlfriend or boyfriend? What if I change the rules? What if I develop a new skill? What if there’s a better opportunity coming my way? What if I’m meant to do something greater? What if I just start? You are only limited by the questions you ask yourself. Poor quality questions give poor results. Good questions can change your life. The purpose of asking good questions is not to get an answer every time. But, it’s to explore the possibilities and expand your imagination. By asking good questions, you train your mind to think in the ways that others might not have considered before. So how do you ask good questions, you may ask? The answer — question assumptions and be specific if you can. Tim questions the status quo and the norms that society assumes as rules to live by. Most people work 9–5 jobs, hate their lives and wait for the retirement to enjoy their lives. But he read Vagabonding, questioned assumptions and created a guide for a regular person who is stuck in a traditional lifestyle. That book became The New York Times Bestseller — The 4-Hour Workweek. Look everything with skepticism and be open-minded. As a bonus, you can add specificity to your questions. Being specific gives you the context and constraints which sparks creativity and helps you form a plan of action. It also helps to deconstruct the answer which may lead you to find alternative solutions. If I could only work 2 hours per week(being specific)on my business, what would I do? Asking good questions is not an easy task. It comes with practice. To get better, increase the number of questions you ask yourself and identify how much you’re questioning assumptions or being specific. Quantity brings quality. And to further improve the quality of your questions, reflect to make constant improvement. Asking good questions is about thinking and making hard choices is about doing. Both are essential ingredients to live the life you want. If you keep thinking, there will be no progress. And if you keep taking action without thinking, you’ll end up in the middle of nowhere. Keep the cycle of ‘making hard choices’ and ‘asking good questions’ running. What hard choices will you make? It could be a big life decision or small daily actions. What questions can you ask yourself that will make the biggest impact on your life? Prakhar writes about designing a life of growth, peace, freedom, and fulfilment.